Saint Lucia’s rural landscape is more forested today than at any time in at least seventy-five years (probably much longer). This change is profoundly significant given widespread efforts to achieve sustainable development on small-island states like Saint Lucia. Yet, this seemingly good-news story runs contrary to most conventional narratives about the worsening state of the environment in the Caribbean and elsewhere. How did this remarkable change come about? What role did government, the private sector and other actors play in this? What are the links between this environmental change and wider changes in the Saint Lucian economy, politics and society? Is there more to this story than meets the eye? These questions are explored in this interdisciplinary study of changing human-environment relations since the Second World War. 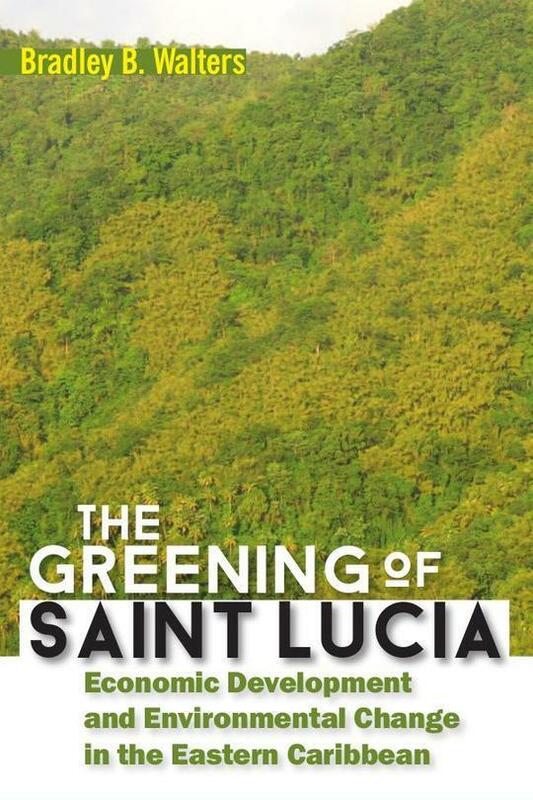 The Greening of Saint Lucia is based on the results of a long-term, field-based research project that began in 2006. It entails the application of a novel research methodology for doing human-environment research (ACE: abductive causal eventism) that the author co-developed with a colleague from Rutgers University. This causal-historical methodology allows for the rigorous integration of findings derived from natural and social science sources, including ecological and air photo assessments, interviews, secondary data sources, and archival investigations. Bradley B. Walters is Professor of Geography and Environment, Mount Allison University, New Brunswick, Canada. His publications include Causal Explanation for Social Scientists: A Reader (co-edited with A.P. Vayda) and Against the Grain: The Vayda Tradition in Human Ecology and Ecological Anthropology (co-edited with B.J. McCay, P. West and S. Lees).